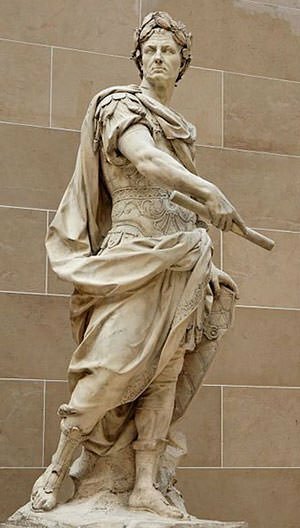 Gaius Julius Caesar (100 BC – 44 BC) was a Roman general and politician who is one of the most renowned figures of ancient Rome. He is considered one of the greatest military commanders in history with victories in numerous campaigns, most prominently his conquest of Gaul. In his political career, Caesar rose through the ranks to first unofficially rule Rome as part of the First Triumvirate and then become the most powerful man in the Roman Republic with the title of dictator in perpetuity. He implemented many important reforms during his time as the undisputed leader of Rome, including measures to relieve the poor. Here are the 10 major accomplishments and achievements of Julius Caesar. Julius Caesar was born in a family that was not very politically influential. However, due to his military achievements as well as his skills as an orator and politician, he became a prominent figure in Rome. He progressed within the Roman political system becoming quaestor in 69 BC, aedile in 65 BC and praetor in 62 BC. In 60 BC, Caesar entered into an unofficial political alliance with Crassus, a military general and politician cited as the wealthiest man in Roman history; and Pompey, a prominent political leader most known for his military exploits. Known as the First Triumvirate, the alliance allowed the three men to unofficially reign over the Roman Republic. Part of the agreement was to appoint (in 59 BC) Julius Caesar as consul, the highest political office in the Roman Republic. The First Triumvirate ended with the death of Crassus in 53 BC, following which Pompey realigned himself with the Roman senate and opposed Caesar. This led to the Great Roman Civil War (49–45 BC) in which Caesar ultimately defeated Pompey and his supporters in the Senate to become the undisputed leader of Rome. In the Roman Republic, a dictator was an office which was given wide ranging powers, mostly in times of emergency. Caesar was first appointed dictator in 49 BC. In 44 BC, after he had crushed the last resistance of Pompey’s supporters, Caesar was appointed dictator perpetuo (dictator in perpetuity). He also held the tribunician power for an indefinite period, which prevented the other tribunes from interfering with his actions. Julius Caesar’s most famous military achievement was his conquest of Gaul. He led Rome in their war against the native tribes of Gaul, who were feared by the Romans. The Gallic tribes were militarily as strong as the Romans with their cavalry being probably superior. However Caesar took advantage of the internal divisions among the tribes. 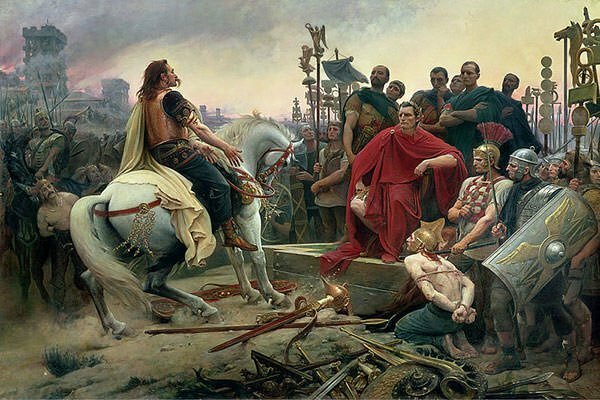 The famous chieftain of the Arverni tribe, Vercingetorix, did unite the Gauls against the Roman invasion in the last phase of the war but his effort came too late. Victory in the Gallic Wars (58 BC – 50 BC) extended the Roman Republic over the whole of Gaul (present-day France and Belgium). It was of considerable significance as the Gallic tribes had attacked the Romans several times and also because it allowed Rome to secure its natural border of the river Rhine. 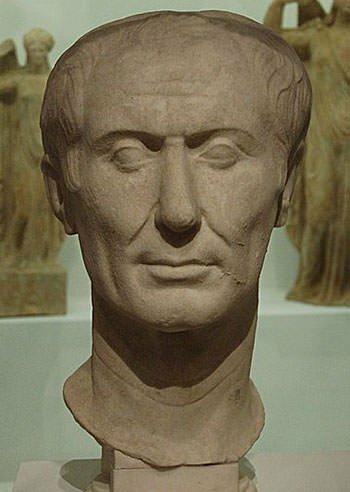 Julius Caesar began his military service with the Siege of Mytilene (81 BC) and won the Civic Crown, the 2nd highest military decoration for a citizen. During the Gallic Wars, he invaded Britain twice and installed a king there who was friendly to Rome. He was involved in several battles against Pompey and the Roman senate during the Great Roman Civil War (49–45 BC). He famously defeated Pompey, who was himself known for his military exploits, at the decisive Battle of Pharsalus (48 BC) despite being outnumbered 2:1. Apart from winning the civil war against numerically superior opponents, Caesar also defeated Egyptian pharaoh Ptolemy XIII in the Battle of the Nile (47 BC) and installed Cleopatra as Queen of Egypt. For his exploits, Caesar is considered one of the greatest military commanders in history. The ordinary year in the Roman calendar consisted of 12 months, for a total of 355 days. A 13th intercalary month of 27 or 28 days was added in some years to make the calendar follow the seasons. The Roman calendar was not only inaccurate but also manipulated for political purposes with intercalations not occurring systematically. Julius Caesar replaced this calendar with a one based on the Egyptian calendar, which was regulated by the sun. He set the length of the year to 365.25 days by adding an intercalary day at the end of February every fourth year. The Julian calendar started on 1st January 45 BC and it remained the predominant calendar in most of Europe till the Gregorian calendar, the most widely used in today’s world, slightly refined it by making a 0.002% correction in the length of the year. Carthage was capital city of the ancient Carthaginian civilization. The ancient city was destroyed by the Roman Republic in the Third Punic War in 146 BC. A new city of Carthage was built on the same land by Julius Caesar in the period from 49 to 44 BC. By the end of the first century the Roman Carthage became the second-largest city in the western half of the Roman Empire, with a peak population of 500,000. The ancient Greek city of Corinth, which had also been destroyed by the Romans, was also rebuilt by Julius Caesar. 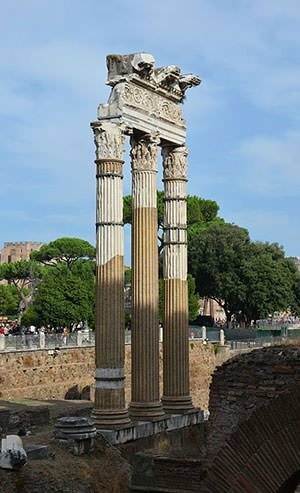 Many construction projects were carried out under Caesar including the famous Forum of Caesar with its Temple of Venus Genetrix. Due to the Social War (91–88 BC), individuals outside Italy were not considered “Roman” and thus were not given full citizenship rights. 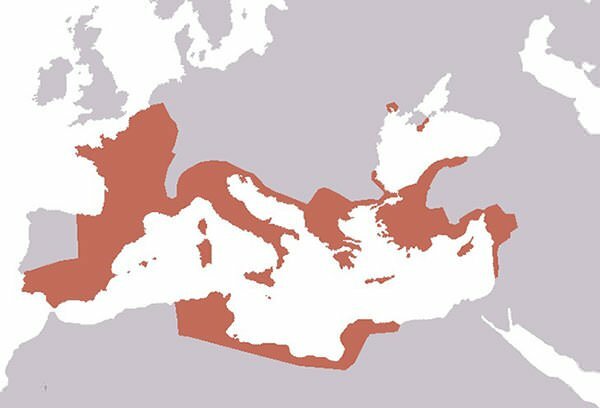 Caesar started the process to fuse the Roman Empire into a single unit by being generous in granting Roman citizenship to those outside Italy. Like, in 49 BC, all inhabitants of Cisalpine Gaul received Roman citizenship. This process of integrating the Roman Empire was completed by his adopted son and the first Roman Emperor, Augustus. Julius Caesar also regulated and systematized municipal government throughout Italy. 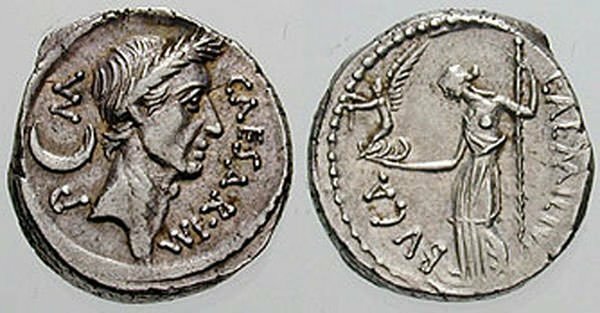 When Caesar became dictator, Rome was experiencing financial crises due to the civil wars which had taken place recently. The real estate values had collapsed and there was shortage of coinage due to hoarding. Julius Caesar ordered that property must be accepted for repayment at its pre-war value and reinstated a previous law which forbade the holding of more than 60,000 sesterces in cash by any one person. He also passed a law which placed restrictions on ostentatious attire, funeral costs and banquets. Caesar founded new settlements for the veterans of his army. He distributed land to around 20,000 poor families that had three or more children. To deal with widespread unemployment, he offered people jobs in public works like the reparation of ancient cities. He mandated that large landowners were to have at least one-third of their laborers as freemen instead of slaves, thus reducing unemployment. He cancelled a whole year of rent for low to moderate dwellings giving much needed relief to poor tenants. He increased duties on luxury imports to make the rich pay for their lavish lifestyles and to encourage domestic production. Caesar also cancelled the interest due since the beginning of the civil war which ultimately eliminated about a fourth of all outstanding debt. During his lifetime, Julius Caesar was regarded as one of the best orators and prose authors in Latin. Among his well-known orations is laudatio Iuliae amitae, funeral oration to honor his deceased aunt Julia. Works written by Julius Caesar include Commentarii de Bello Gallico (Commentaries on the Gallic War); Commentarii de Bello Civili (Commentaries on the Civil War); and Anticato. Caesar’s oratory skills and accounts of war were important in enhancing his reputation. Also, his Gallic War account has been a mainstay in Latin instruction because of its simple, direct prose. 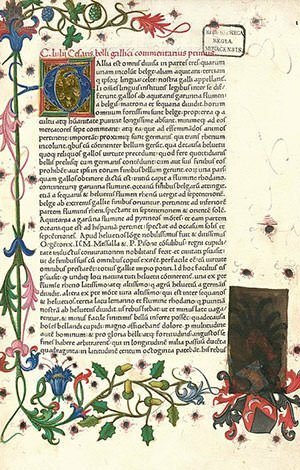 It is traditionally the first authentic text assigned to students of Latin. Julius Caesar also wrote several poems but none of them survives. bob, Mrs. Martin is dead. Screw you nobody cares 12 year old. I’m in me mums car. if u hate history then y did u read this article ???????? you just gave your address you better run. what is talking on leonardo newtonic web site and is rude? lmao!! i just read all these comments with my friend and i am dying! this ain’t some random texting app, you know people can see what you say right lmao? you people are like, 2 years old, how old are ya’ll? or whatever, but ya.You all should be in acting, you would be pretty good at it, don’t you think?